Realistically, though, we all do it. We all find ourselves overwhelmed by the roller-coaster of life and the many things on our never-ending To Do lists. I have to catch myself before I allow myself to be pushed over the edge by the stresses of life. Whenever I'm feeling like I'm dealing with more than I can handle, I call one of the special women in my life and they break it down for me. 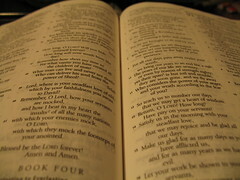 You know, take me back to the basics and that means back to the Bible. At times, we may not know what our next step should be. But we have to rest assured and know that, even when we are unsure of our future, we have to rest assured that God's plan for us is greater than ours. Jeremiah 29:11 says "For I know the plans I have for you, declares the Lord, plans for welfare and not for eveil, to give you a futue and a hope." What can be better than following God's plan? What plan can be more complete? None other. 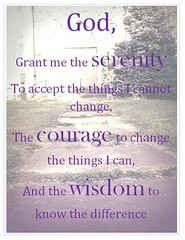 If all else fails, here's the Serenity Prayer. I often repeat it over and over again when I find things in my life are becoming overwhelmingly stressful. So, remember, real Divas don't worry or stress, we pray. There's no need to worry about today or tomorrow when you're allowing GOD to make your path straight and guide your feet.